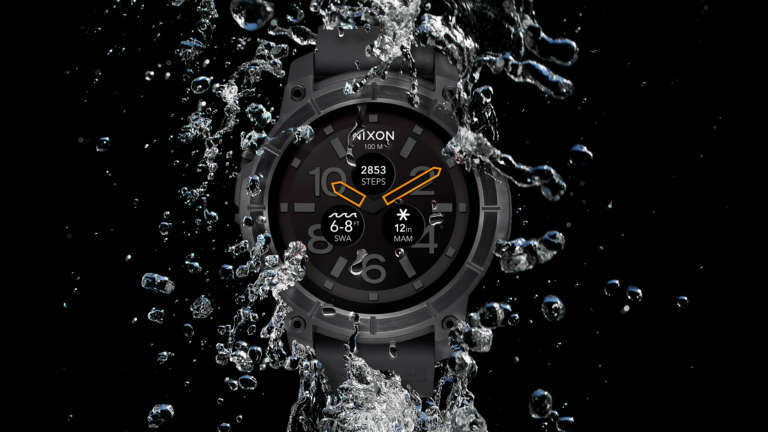 From their very first tide watch, Nixon has set a new standard for the category; always bringing a fresh perspective for a look and feel that’s right at home in the water, in the streets, and on the hill. 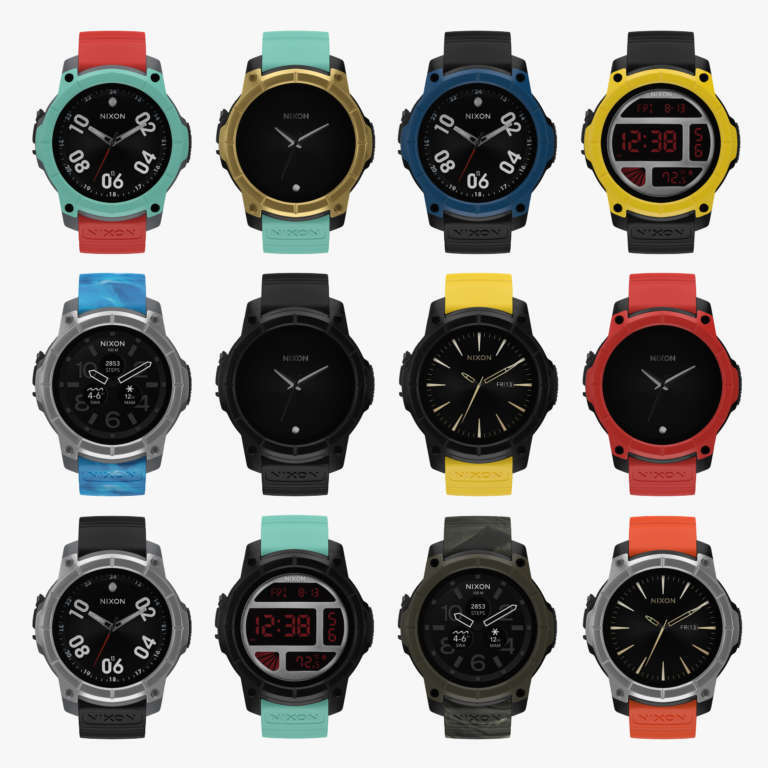 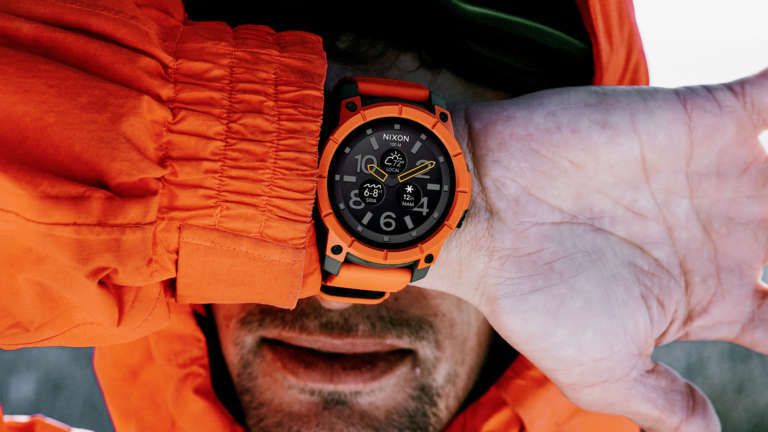 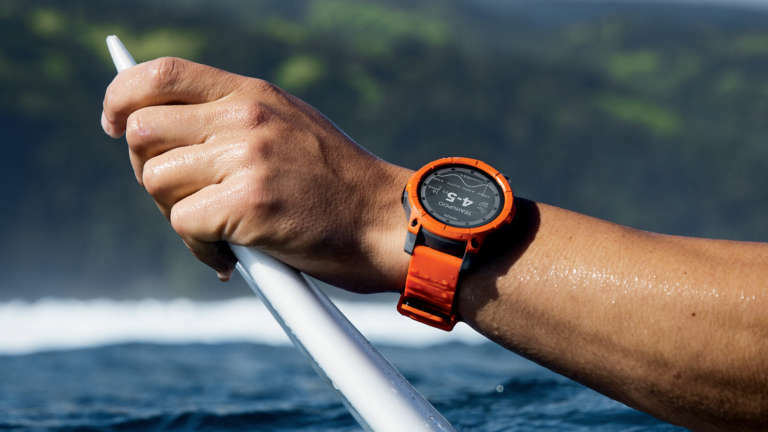 The Mission takes the DNA established in The Tide Collection and pushes the volume to eleven – incorporating the latest components from AndroidWear into a watch rugged enough to go from Teahupo’o to Mt. 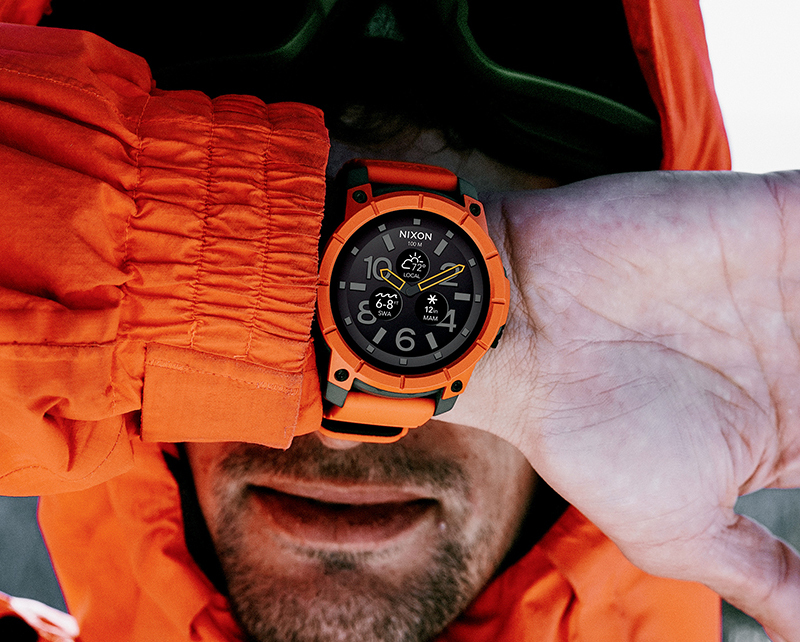 Baker; yet smart enough to alert you when the conditions back home are about to get epic. 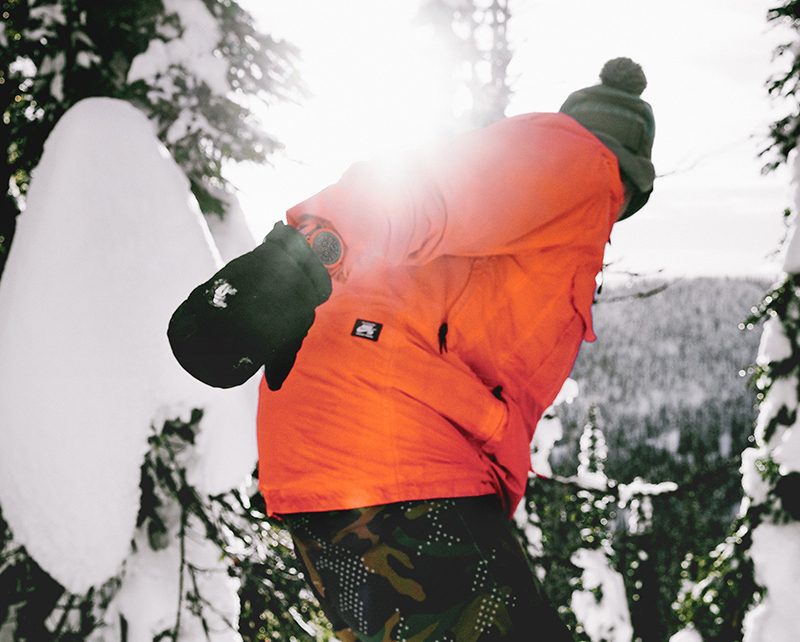 The Mission always keeps you in the loop at your favorite spots, and you don’t have to leave it behind when you hit the break or the lift. 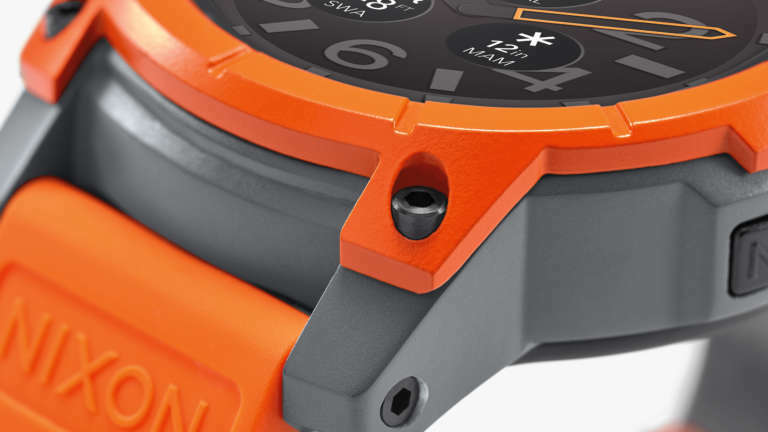 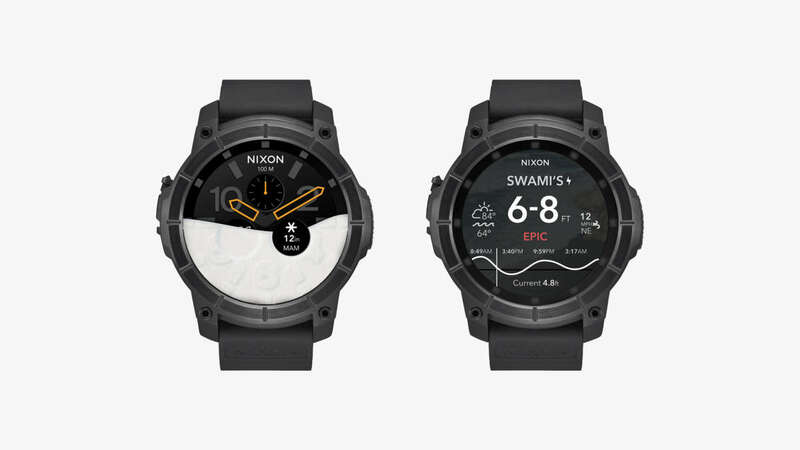 We worked side by side with the team at Nixon to zero in on the details essential to riders and surfers – from shareable condition alerts to customizable classic Nixon watch faces and a modular, hyper-rugged construction – pulling it all together in a form that can take a pounding and fits seamlessly into their product line. 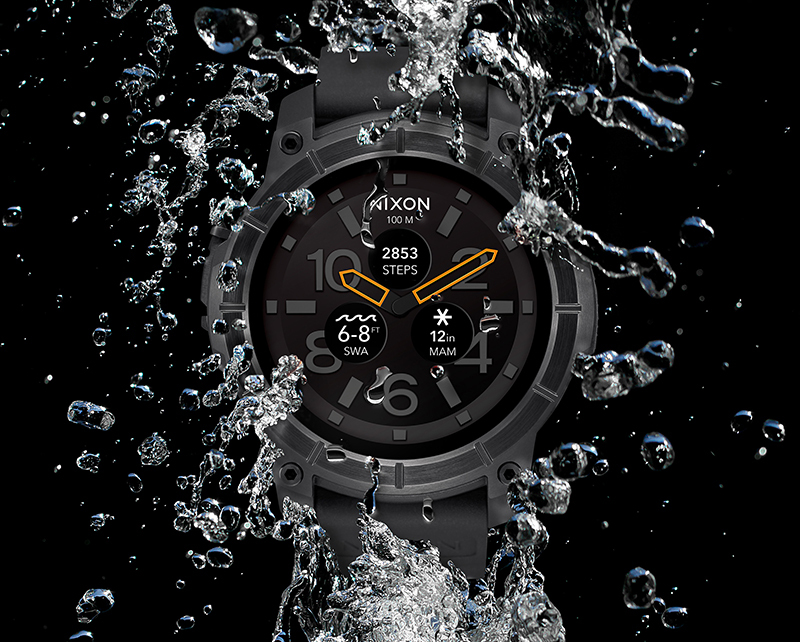 From the beginning, our brief was to help Nixon build the 4x4 of smartwatches – tough enough to be worry free, seamlessly connected to the essentials, and perfectly tuned to go from the mountain to the beach. 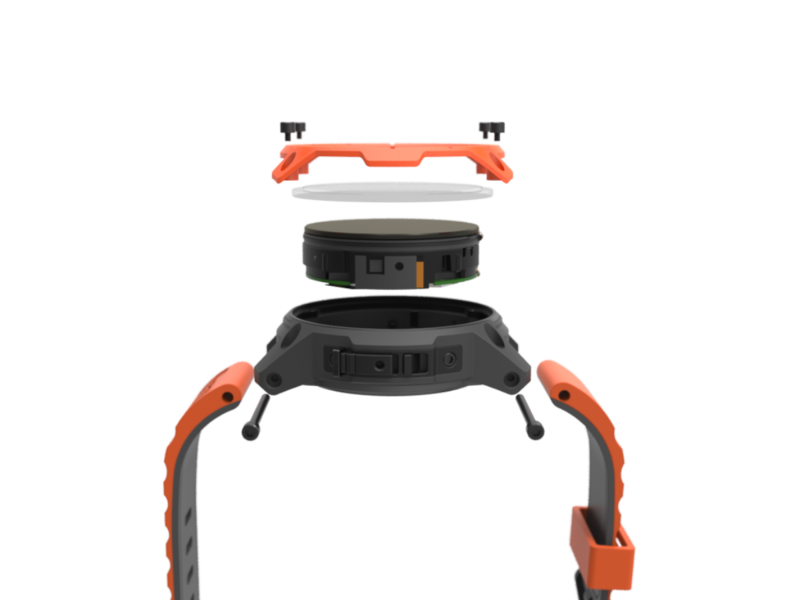 We created an all-new waterproof microphone lock, customizable modular construction, and packaged the Qualcomm Snapdragon Wear 2100 module in a bombproof case complete with a bolt-on raised bezel and durable gorilla glass. 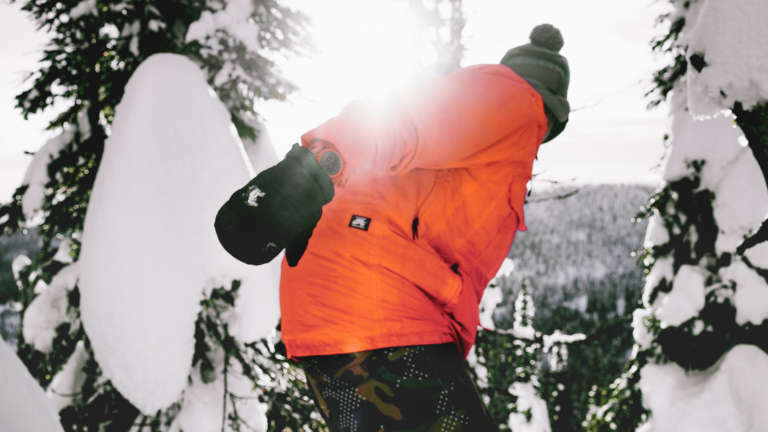 A slight change in weather can make the difference between a good time and all-time. 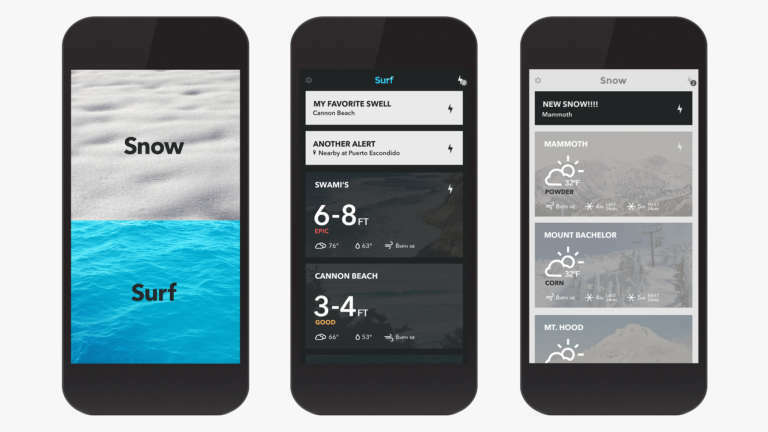 We designed a user interface that taps the world’s premier snow and surf reports so you never miss a beat. 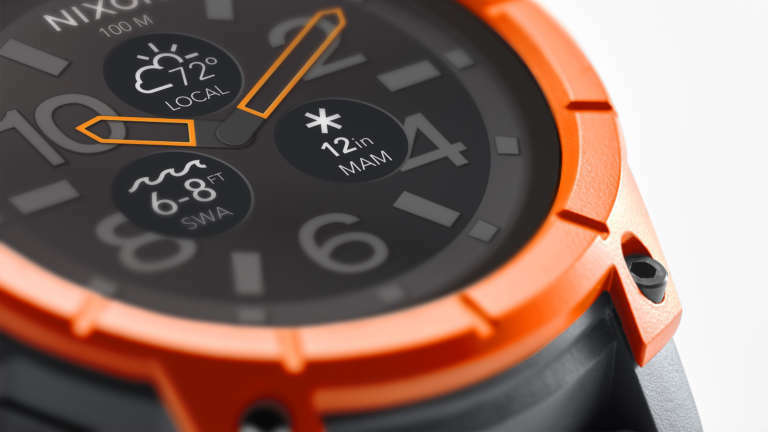 With The Mission’s phone and watch app, you can quickly switch between surf and snow, customize your watch face and theme, and access a full run of other apps – all with a few simple gestures. 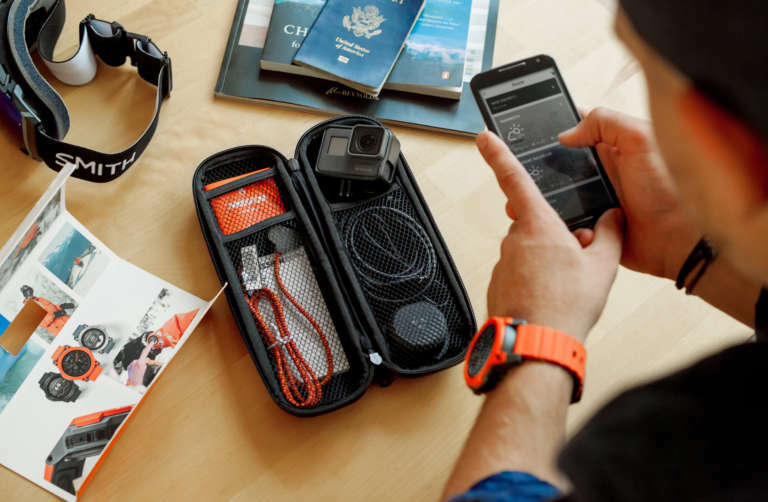 Pick your go-to spots, set condition alerts, then glance and get out there. 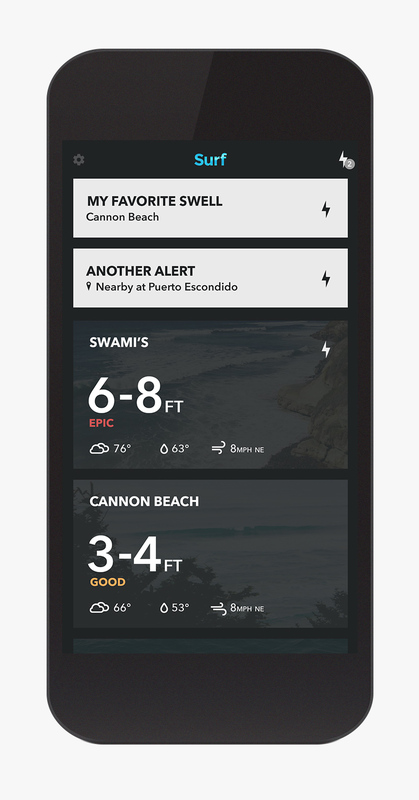 The Mission Android and soon to be released iOS application allows you to take deep dives into the details of your favorite (or dream) breaks and mountains across the globe, then share photos and alerts with your crew. 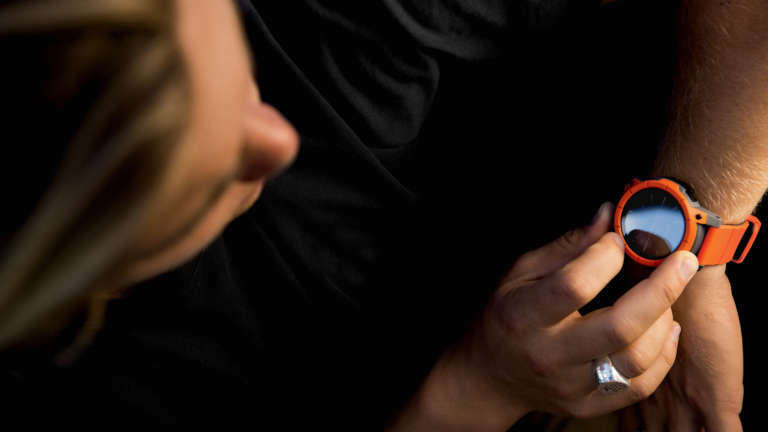 Whether making the boys jealous or putting out the rallying call, you’ll always be the one calling the shots. 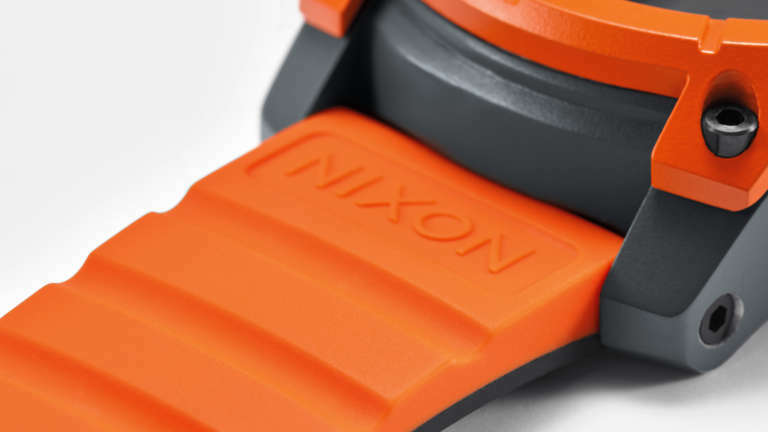 We brought a utilitarian approach to The Mission’s packaging – helping to balance Nixon's clear, bright messaging and product photography with a form that wouldn’t go straight to the recycling bin. 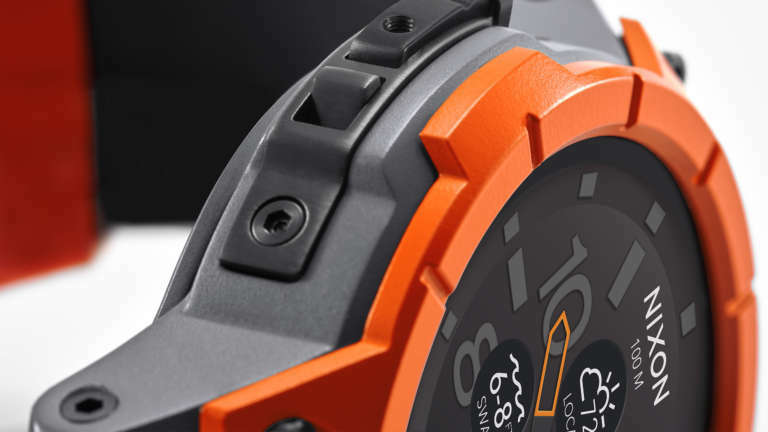 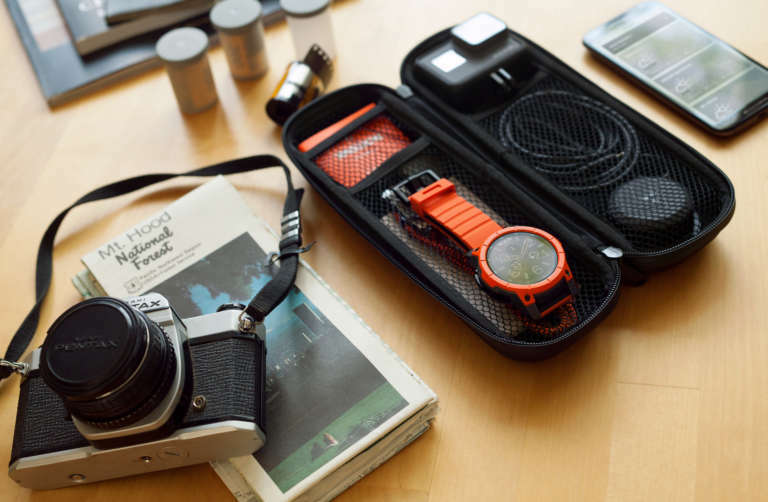 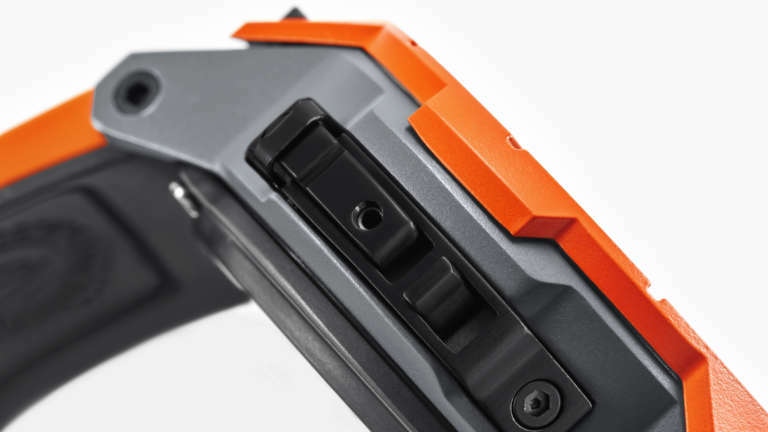 The outer sheath and functional zippers allow the watch to hang horizontally at retail, and the rugged, water-resistant inner case boasts room for a Trace puck, GoPro, or other tech adventure essentials. 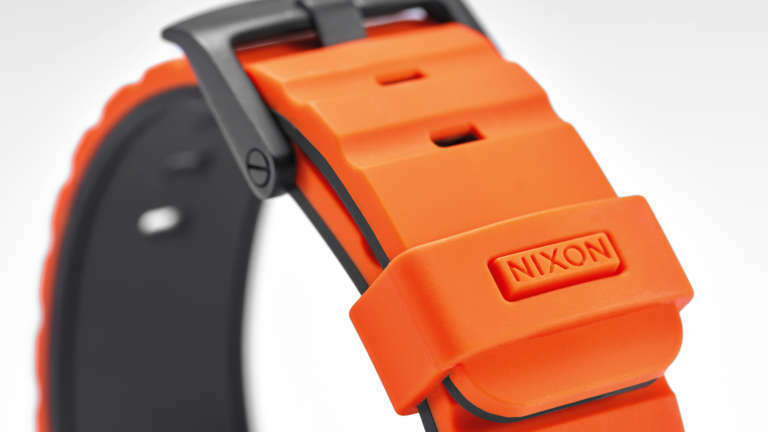 The Mission delivers all the information you need to be in the right spot at the right time – whether that’s Trestles with your favorite swell direction or calling in sick because Mammoth is getting 2 feet of fresh overnight – all while bringing an attitude and style that is distinctly Nixon. 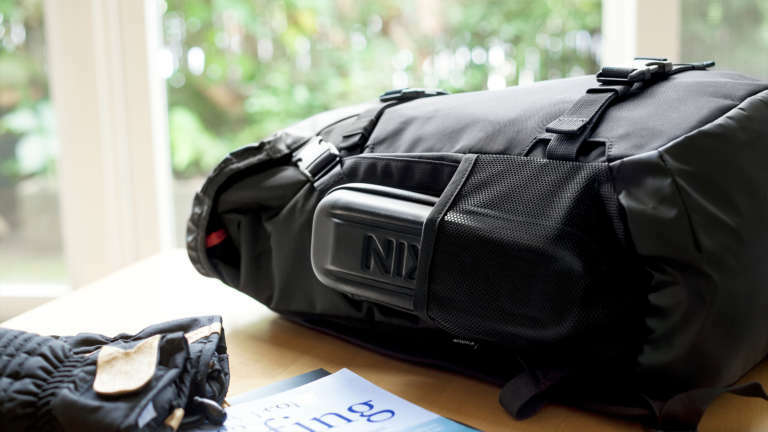 The reality is that the world is what you make it, and The Mission simply and clearly delivers just the right tools to help you stay connected from the journey to the destination. 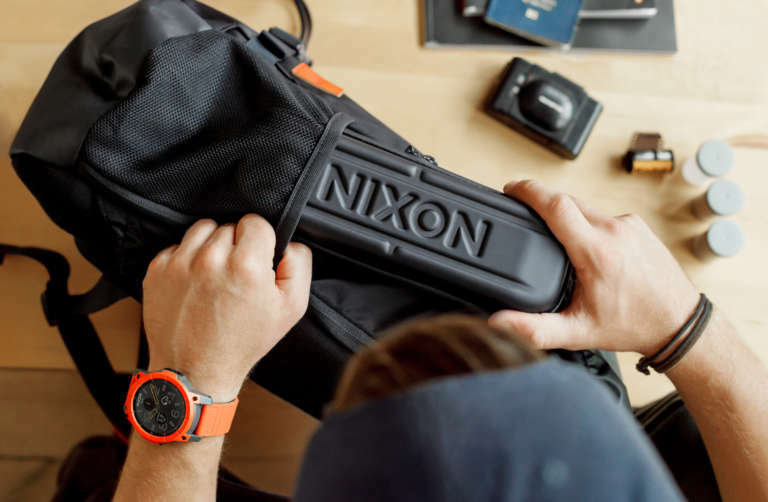 We’re proud to help our partners at Nixon continually push the limits of expectations for the products we bring along for the ride, and can’t wait to see what they come up with next.